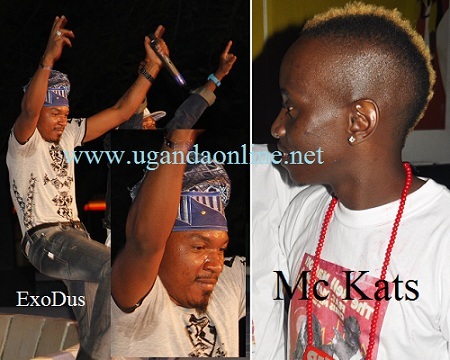 Gospel Artistes Exodus and Mc Kats were on Saturday night among those who were arrested during the swoop commonly referred to as a 'Kiddo' that was carried out on Rubaga road next to Wallet Pub. Police raided the spot and started checking all motorists in search for drunkards behind the wheels. The blood alcohol content (BAC) from McKats breath sample was twice the lethal dose leaving the cops with no option but to arrest him. The NTV Exposed host and freelance MC who also is into gospel music looked pretty scared cursing why he had taken a little too much. In a related development, Gospel dance-hall artist Exodus was among those arrested as police carried out its drink-driving operation. Exodus was equally taken to police and just yesterday, his footage was part of Agataliiko Nfuufu's line up. Kats MC being found drunk was open ended because that is more in line with his McJob especially when he at times has to do his job while faced with empty chairs(SiSqo) so he resorts to the bottle to nurse his frustrations. Exodus maintains his stand that he was not drunk and he is now blaming Agataliiko Nfuufu for cooking up things at least from his latest tweet: "I love how Agataliiko Nfuufu twists the truth around to suit their interest! !report truth with integrity"
Exodus, Over to you; why did you end up at the police station then?